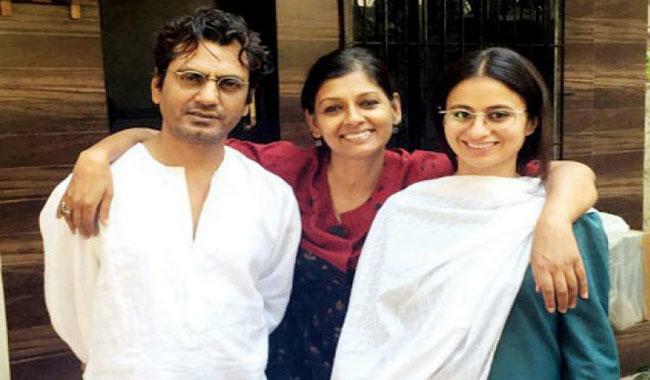 Mumbai, April 13 (Express Tribune): Acclaimed Indian actor turned film-maker Nandita Das’ directorialManto, a biographical on controversial Urdu writer Saadat Hasan Manto, has made its way to the Un Certain Regard segment of the prestigious 71st Cannes Film Festival. The team is ecstatic. The official line-up was announced by the festival’s artistic director Thierry Fremaux in Paris on Thursday. Nandita, who has been a jury member at the movie jamboree twice – in 2005 and 2013 – had last year introducedMantoto the Cannes audience via ‘In Defence of Freedom’, a prelude to the feature film. Now heading to the fest with the film in full form, Nandita’s happiness knows no bounds. “We are in Cannes!Mantois selected in the official section Un Certain Regard. Exciting moment for the entire crew and cast,” tweeted the film-maker, whose 2008 directorial debutFiraaq, on the aftermath of the Gujarat riots, was also screened at Cannes. Rasika added that the film speaks of “fearlessness with sensitivity and that’s something to nurture and celebrate”. The film also features Tahir Raj Bhasin as Shyam Chaddha, Manto’s friend, confidant and inspiration for a number of stories; Rajshri Deshpande as author Ismat Chughtai and veteran actor Rishi Kapoor in a cameo. he Un Certain Regard is a competition section separate from the Cannes fest’s main Palme d’Or competition section. Mantowill compete with Bi Gan’sLong Day’s Journey into Night, Andrea Bescond and Eric Metayer’sLittle Tickles, French-Morrocan director Meyem Benm’Barek’sSofiaand Ali Abbasi’sBorder, among others. The Cannes Film Festival will this year open with Asghar Farhadi’s Spanish-language thrillerEverybody Knows, starring Javier Bardem, Penelope Cruz and Ricardo Darin. He also said how the gala will never be the same after Hollywood’s sexual scandal following the exposure of producer Harvey Weinstein, describing it as an ‘earthquake’ moment for the industry,The Hollywood Reporterreported. “The world will never be the same again, the Cannes Film Festival will never be the same again,” Fremaux said, adding that the movement sparked by the allegations against Weinstein had also caused an internal evaluation by the festival itself. “We will discuss our own practices with the festival team. We will discuss equality of salary, we want to question our own process about the parity of the juries,” he added.